Welcome to the sixth installment of The Natural Way, a series in which we are showcasing individuals and companies that are making a difference in their community by doing things "the natural way" with a focus on sustainability. Take a look at the rest of the series in which we have talked to ranchers, humanitarian aid organizations, back yard chicken enthusiasts and more! When I was in Elementary school, I developed a love for all things environment. My mom and dad gave me a book called 50 Simple Things Kids Can Do To Save The Earth. I read it from cover to cover, over and over again. I adored knowing that I wasn't just a kid, I was someone who could contribute to SAVING the Earth! And I did - I remember being in Elementary school and starting a recycling program at our school, and it just snowballed from there. Now we recycle far more than we put in the garbage, compost our kitchen scraps and reuse, fix or donate items rather than place them in the landfill. So thankful my parents started me out young knowing that the simple things I do on a daily basis really do contribute to the overall health of our world. 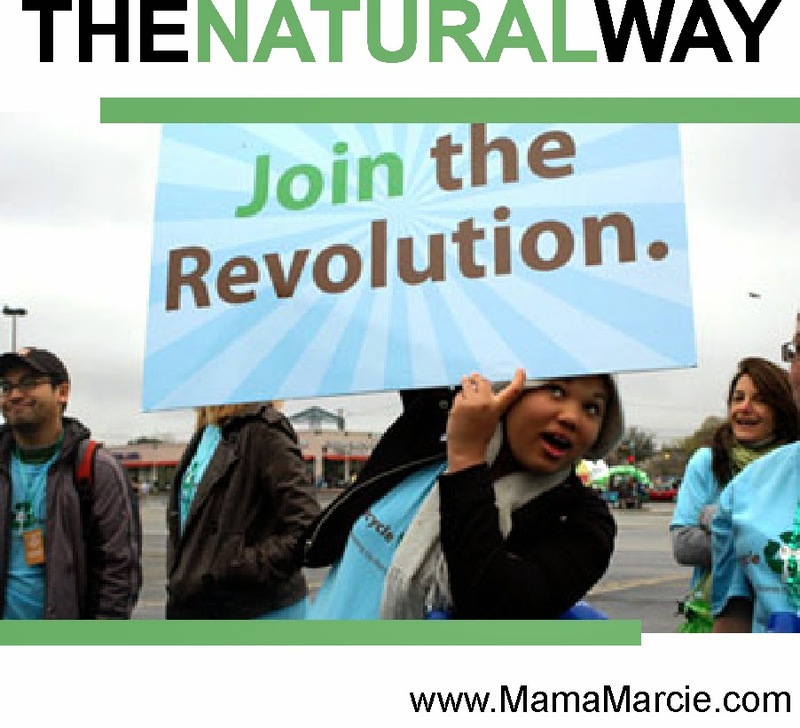 All that to say, I am very excited about this week's "The Natural Way" post. Joining us today is Maria Lott, Owner of Recycle Revolution. Without further ado, please check out her interview! Q: Hi, Maria! Can you introduce yourself? Tell us a little about who you are. 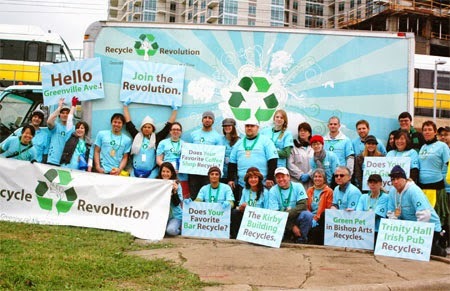 A: I am the mother of Recycle Revolution's founder, Eddie Lott. Q: You haven't always been involved in Recycle Revolution, what did you do before you dove into this lifestyle? Before joining RR, I taught and retired from teaching at public schools until 2008. My son needed my help in the Revolution's start-up and it was an impeccable timing to begin the second career in my life. To champion the cause for Mother Earth and leave my children, grandchildren, and the future generation of children a cleaner environment with an abundance supply of natural resources for them is the most wonderful feeling I could never have imagined! I am passionate about this recycling business, Marcie, and it is the one thing that has kept me going throughout these six years. I have also always wanted to own my business, and so when RR was born, I knew that my passion for working for Mother Earth was going to be a dream come true through this company. Q: Why is what you do important? RR's mission revolves around community and sustainability. Our mission is "to foster a culture of recycling in North Texas, provide outstanding service to businesses that care, and use our success to rally for the causes of good neighborhoodship and environmental awareness." We offer recycling to mom and pop businesses, offer valet services from floor to floor levels, offer one-stop recycling including paper, aluminum, glass, all plastics, cardboard, electronics, lamps, ballasts, batteries, and our newest program is composting food waste. We also have clothing and shoes collected to benefit a community (was Deep Ellum where we just moved from, and will now be towards a charity instead). We offer our free community drop-off of recyclables for all multi-tenant residences (apartments & condominiums) here at our facility. And we participate in community events for their recycling and give free tours for individuals/groups who want to witness the beginning of the recycling process (we collect and aggregate the recyclable materials here at our facility where they are weighed, recorded, baled, and then brought to various manufacturing facilities for processing). Q: What is the hardest part about what you do? The best part? RR is now on it's sixth year and it has been a long, difficult, and exciting journey; it has a lot of many many ups and downs. I had to learn how to make sales, take care of clients, keep up with the invoices and payables, use the computer (I only knew word processing and internet back then!) and work on all various administrative tasks such as hire, fire, make deals with vendors, be friendly to complaining customers, understand how Operations work, and many other roles and responsibilities. In other words, the most difficult part of my job was being an owner of a company; I work days and nights, including weekends, and wear many hats. When things need to get done, I have to get things done; there were no excuses. There are time lines to deal with, and priorities to set straight. Another challenge that I have to overcome is hiring and firing; I am very aware of the different attributes that people have and it is difficult to learn from employees that work out from those who don't; relationship makes it difficult to let go. At the same time, it is also a wonderful feeling to know sooo many people in the community that share the same passion for the environment; they truly help to energize me. They remind me all the time of the importance of our mission on why Recycle Revolution was founded. I equally enjoy working with everyone here at RR where we work hard, share laughter and stories, and go through our journey on a day-to-day basis. They are my other family, and they also help to make my days here memorable! If there is one thing that I would like to add to this Interview is that, following my passion is the greatest feeling on earth and one that I am thankful to my lucky stars, for this once in a lifetime opportunity. Thank you, Maria, for sharing with us about your mission! I look forward to hearing about the great impact RR makes on our community! If you are interested in how you can participate, check out the Recycle Revolution website and Facebook Page. Be sure to check out the awesome chart they have on their website that shows where and how they recycle various items! Join me next Tuesday for the next installment in The Natural Way!